If we were having coffee, I would tell you that here, in the middle of November, I am smack-dab in the middle of several different projects. How would you like your hot beverage today? I’m still all about the pumpkin spice-flavored coffee. What am I in the middle of, you ask? First, the master bedroom addition is experiencing final touches in the bathroom and closet. My husband is amazing and is creating an awesome closet! Here is where we are today. Still some work to be done! The master bath is finished!. 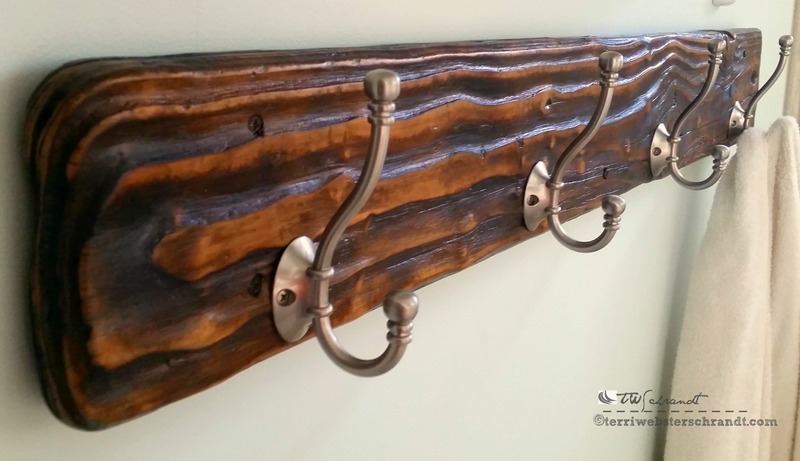 Take a look at the re-claimed piece of wood my hubby re-purposed into a towel rack. We found a weathered two-by-six in the delta where we windsurf. My hubby used his superpowers to create this gorgeous piece! Great souvenir and looks awesome in the bathroom! It will be wonderful to put everything away and start hanging my pictures. But I got to tell you, all this organization and the details, thrown in with some DIY and cleaning, has made me feel surprisingly tired. But I know that it will all be worth it! If we were having coffee, I would have to bore you with some more photos of autumn in Sacramento. With the rain and cold night temps, the leaves are finally going dormant and flaunting their amazing colors. The leaves are still mostly on the trees as of now, but soon the ground will be covered with a colorful mosaic. A haiku in the making! My view walking to class. If we were having coffee I would explain that I am still in the middle, so to speak, of the semester. The last two weeks, with midterms and no papers to grade, have been nice. Upcoming this week, both classes have papers due! Thinking I had my spring semester all scheduled, …wait, I need a swig of coffee… my department chair informed me on Thursday that I would be teaching my new class this spring instead of next fall. Well… better start reading the textbook, and fast! Even though it is kind of short notice, as the new semester begins in late January, I will be excited to teach another course in the major. To top it off, last week, select faculty members were invited to read and assess student writing for WASC Accreditation program (Western Association of Schools and Colleges). In order to graduate from California State Universities, students must test for writing proficiency as a junior, then satisfactorily pass a writing intensive course. It was a unique perspective being on the other end as a reader, since I am a writing intensive course instructor. The process was very interesting and I made some extra $$! If we were having coffee, I would tell you the middle of November has brought some fun to this blog. In addition to the Weekly Photo Challenge hosted by WordPress, I just started a new photo challenge called “Thursday Doors.” My post, “Dare to Enter” was my first entry to the challenge. Nothing like a new photography challenge. Anyone can join, check it out! On Thursday, for my Leisurely Thursday feature, I published a post called Winter Cycling Tips. Not only did it get stumbled (via StumbleUpon) with over 30 views, this post brought the most visitors to my blog in the last few weeks! It did help that I also guest-posted this story on Staycations California. If you are interested in how StumbleUpon works, please refer to the links in my post from last week, The Link To Leisure. It was a great week, except for the unbelievable tragedy that occurred in Paris. My thoughts and prayers to the families and victims, and I sincerely wish for peace for our world. What are you in the middle of this week! Come tell me over coffee! Weekend Coffee Share is brought to you by Part-time Monster’s Weekly feature. Come have coffee with us! Congratulations on new assignments as well! Way to go. And I loved the idea of having the pumpkin coffee.. Thank you, Lucile! I see you are catching up with comments, which is so nice of you! You are a very loyal reader and friend, and I value that. Hopefully you are getting back to normal, too. Stumble Upon can be a gold mine some days! Thank you :), i’ve started using Stumble more also the Twitter sharing doesn’t seem to be the ticket. So full of changes…beautiful renovation now completed, autumn in full swing, new course in the Spring (that was the best part! Congratulations). Also happy to hear you have had success with StumbleUpon. I love that tool! Will check out your post on Doors! I love hearing about your renovations Terri as we have bought an apartment that we are decorating for retirement. I know nothing about Stumbleupon so will check it out. Thanks for sharing your week with us at #WednesdaysWisdom. Great post. The wood rack is really quite stunning. World news not good right now. Comfort taken in embracing ‘nesting’ mode myself. Got the kitchen and living/dining area painted, and bookshelves arrived, in place and I am unpacking my books. Have a great week. You sound very busy currently. Indeed my thoughts too haven’t stopped from focusing on Paris 😦 So incredibly sad and tragic …. Wishing for peace and hope for our future ! Thanks, Lia, events in our world are becoming more tragic, and our world will never be the same. Praying for peace to all my friends, and for the world! Indeed, this feels like it felt after 9/11… I’m trying to remember what life was like before all these sad, tragic events happened… Seems hopeless but I’m keeping faith that peace and love will one day prevail. The best we can do in times like these is bring love and harmony in our own lives and hope it radiates outward 🙂 I’m glad I have blogosphere friends like you to remind me of that joy! So eloquently said, Lia! I refuse to give up my freedom and my joy to haters! What a great week. Very talented husband. Mine was too but he sort of got tired of creating things after a while… bummer. That door challenge looks interesting. May just have to think about joining in! I’ll take my coffee with a little cream (not milk) LOL. That repurposed coat rack is beautiful! He did an amazing job (although I didn’t see it before he did his magic). The closet looks amazing too! You are a very busy woman and I don’t know how you did it when you were also working full-time. He certainly turned it beautiful! Thanks for stopping by my blog and liking something and following. I am planning to read further in yours shortly. I also have a millennial daughter who sometimes seems to me like someone from another planet. Maybe that’s because I am a pre-baby boomer. The leaves in Wisconsin are mostly on the ground after two days last week of rain and wind. Enjoy the color you have, Terri. Enjoy the smell of autumn! thank you, Mary, we still have a lot of green leaves but so many now are looking fantastic. Seems in a blink, they will all be gone! The colors in your area are stunning and so is your new master closet! I am very jealous! If we were having coffee, I’d be having black Irish Breakfast Tea with milk. Unless we were at a coffee shop and then I’d be having a skinny latte. I did, in fact, have just that yesterday at the start of my Saturday morning shopping trip when i began at Home Depot for supplies and an old friend whom I’ve not seen for a couple of years came in and we finished shopping and went to have coffee. I had a skinny latte. I’m still in the middle of projects: the front yard half raked – the enormous oaks which are so kind and loving in the summertime drop loads of leaves; the foundation is watered (yes, I water the house) and the basement is in some form of something but certainly not done. And I need to get up to the farm and plant fall bulbs which may or may not happen. I also cleaned at my inbox and in short, started on all the projects I’d put off or ignored while I was writing. Maybe I need to start another book….. Thank you, Desley! You’re too sweet! I must start participating in Thursday Doors. It’s so cool. 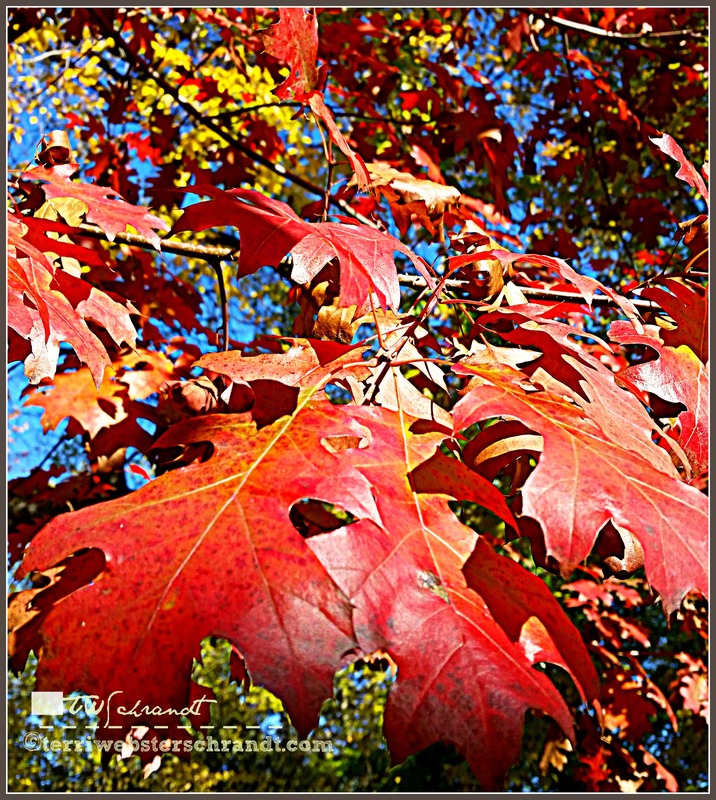 Nice Autumn photos, too! Very pretty. Thanks for the coffee, and enjoy those Autumn colours. They’ve already left the UK as most of the leaves are now on the ground. Your reno is really coming along… and I love the coat-hook! Thank you! It is a great reminder of the fun we have in our leisure!